There are number of serious infections your cat or kitten can be affected by which are preventable by getting your cat vaccinated. If you don’t vaccinate, you cat’s wellbeing could be at risk. Cat vaccinations are not only a cost effective way to protect your beloved family member, they can also help you avoid the stress of having an ill pet and the high cost of vet treatment. There are a series of cat vaccinations available to help protect your cat from nasty diseases. In this article we explain everything you need to know about feline vaccinations, the recommended vaccination schedule, vaccination costs and potential cat vaccination side effects. What are cat vaccines and how do they work? Vaccines for cats and kittens work the same way as they do for humans. Vaccines are health products that trigger the cat’s immune system to fight a specific infectious agent, without making the cat sick or giving it the disease. Generally the germs in the vaccine are weak or dead. In fact some vaccines don’t even contain any of the germs – instead simply mimic them. Your kitten’s vaccinations are designed to stimulate and train their immune system. The white blood cells in your cat’s body will produce proteins (antibodies) that will, together with other white blood cells, fight the infectious agent (antigens). It is important to understand that most vaccines work by preventing your cat from getting sick, meaning they prevent them from showing the symptoms of the disease. However they may not prevent your cat from actually getting the infection – their reaction just won’t be as severe if they do get it. Which are the most common cat and kitten vaccinations? The Australian Veterinary Association (AVA) splits recommended cat vaccinations into “core” and “non-core” vaccines. Core vaccines are those on the cat vaccination schedule that are appropriate for cats regardless of where in the world they live. In Australia, the core cat vaccines are feline herpes virus, feline calicivirus and feline parvovirus (also known as feline panleukopoenia). There are non-core vaccines available for other diseases which may be recommend based on the cat’s location and its individual lifestyle. These should be considered on a case-by-case basis and discussed with your vet. Non-core cat vaccinations include vaccinations against the following diseases: feline leukemia, feline immunodeficiency virus (AIDS), feline infectious peritonitis, chlamydophila felis and bordetella bronchiseptica. The terms F3, F5 and F6 refer to how many diseases your cat will be vaccinated against. Feline herpes virus, commonly know as cat flu. This is often found in unvaccinated cats and can cause long-term problems like chronic sneezing. Typical symptoms are nasal discharge, red eyes and gum infections. Feline calicivirus, which can be another cause of the disease commonly know as cat flu. Feline panleukopaenia, also know as cat parvovirus, which can cause severe and often fatal gastroenteritis. The F5 cat vaccination includes cover for feline herpes, calcivirus and panleukopaenia, along with additional cover against herpes, and chlamydia and feline leukemia. The F6 vaccination includes immunisation against all of the diseases included in the F5 vaccine along with the feline immunodeficiency virus (Feline AIDS). The following is a description of the major diseases your cat or kitten can be protected against through vaccination. Cats can transmit the virus through almost any body fluid, from saliva to tears, urine and even faeces. Cat boarding and multi-cat households put cats at high risk of contracting this virus if not vaccinated. Shelter environments are particularly dangerous, as the the virus can easily transmit through litter trays, cat toys, grooming and communal feeding areas. A sick cat or kitten will show signs of low to no appetite, which will cause fast weight loss and lead to anaemia. Some cats will also have vomiting and diarrhoea. Over time the cat’s immune system will be so impaired that the cat will develop tumours and certain cancers. A blood test can detect if a cat has contracted Feline Leukemia Virus, but there is currently no treatment available only management until cancer develops. Feline panleukopoenia is also known as feline enteritis or cat parvovirus. This disease can be fatal and the death rate is quite high amongst kittens who contracting it. It is also a very contagious disease, which spreads so easily that specific disinfectant needs to be used to avoid further spreading. Cats who are pregnant and contract feline enteritis, will mostly lose their young at birth or give birth to disabled kittens. Common feline respiratory diseases are the feline herpes virus and feline calicivirus, also known as cat flu. Symptoms include runny eyes, nasal discharge, coughing and sneezing. These respiratory diseases can affect cats and kittens of any age, are highly contagious, and cats can spread the infection for a long time even after showing no more symptoms. They are mostly not fatal but can cause distress for the cat. This disease is marked by fever, which can come and go, sneezing and inflamed eyes. There is also usually discharge out of nose and eyes which starts off clear and thickens with the progression of the illness thickens, containing mucus and pus. Some cats can also develop mouth sores and loss of appetite due to discomfort when eating. Weight lose is a common side effect. The calicivirus typically causes few or no signs, but in some cats it can develop to pneumonia through fluid build up in the lungs. It is often impossible to distinguish feline herpesvirus from feline calicivirus infections as the symptoms are so similar and are just a different strain of the Feline Respiratory diseases. Feline chlamydophilia is actually a part of feline respiratory disease but often appears as a type of conjuntivitis or pink eye in cats (i.e. inflammation of the eye tissue). A cat with feline chlymydophilia also often has either the calcivirus or herpesvirus respiratory disease. In Australia, a high number of cats are infected with this preventable virus, which is almost always transmitted through bites by infected cats, as the virus is present in the saliva. Cat vaccinations can prevent your cat from receiving and spreading this disease amongst the cat population. Some infected cats show no signs of the virus and some show symptoms like fever, lack of appetite, swollen lymph notes or diarrhoea. The virus attacks the cat’s immunity, and eventually the cat becomes so weak that it will die from infections that would not otherwise necessarily be life threatening. 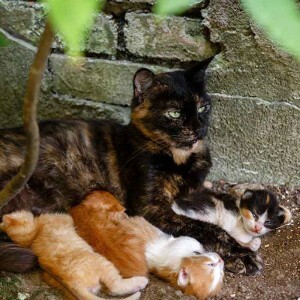 Kittens receive antibodies from their mother’s milk and are therefore protected to some extent in the early life stages. With time, the maternal antibodies reduce and so does the protection against diseases. It is recommended to get your kitten’s first vaccination from as early as 8 weeks of age. A refresher (booster) is recommended four weeks after their first vaccine and another refresher vaccine should follow four weeks after the second vaccination to ensure accrued protection for your kitten’s first year of life. Your kitten’s second and third vaccination boosters are required as the maternal antibodies decline in the first couple of months, however until they drop sufficiently they can also neutralise the early vaccines given. This is why a series of vaccinations are required initially to ensure sufficient protection. 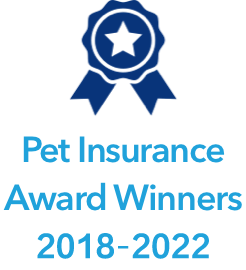 The good news is that after your kitten has received all initial vaccinations, some vaccinations will be only required yearly or even every three years. Please let your vet advise you on required vaccination frequency, depending on your cat’s needs and lifestyle. A kitten can safely go outside ten days after getting its final kitten vaccination. To maintain immunity, all adult cats require annual boosters, with some vaccines given every three years. Below are some rough guidelines as to what age your kitten should be when receiving its various vaccinations. It is also worth noting that microchipping a kitten / cat is mandatory in NSW and some other states in Australia. It is the simplest way ensure your new family member will be easy to identify if he goes missing. If the breeder to shelter hasn’t already microchipped your kitten, we recommend asking your vet to insert a microchip at your first visit. 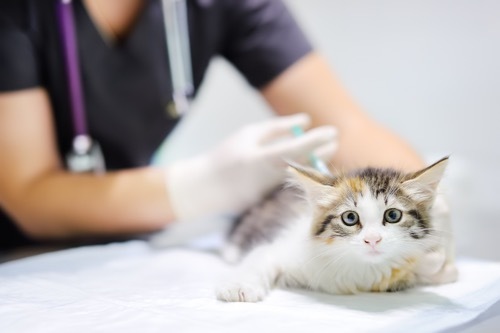 Vaccinations help prevent your precious kitten from catching some nasty and potentially life threatening diseases, but you should be aware that vaccinations can also cause some minor side effects. Skin irritation, bruising around the injection area. It is important to stay at the vet for a short time after the vaccination so your vet can check that your cat does not show any signs of an allergic reaction. The side effects will usually present themselves shortly after the vaccine has been given, not hours or days later. Some kittens and cats will jump around after their vaccinations like nothing has happened, where others will seem a bit more needy and may seek comfort and privacy. Don’t be alarmed if you pet doesn’t eat anything or wants to be left alone for the first 24 hours. After that your cat should be back to its usual self. The cost for cat and kitten vaccinations can vary considerably depending on the type of vaccine and the area that you live in. However, as a rough guideline, cat vaccinations in Australia are usually in the range of $50-$70 each. We suggest you check with your local vet clinic to find out their vaccination prices. 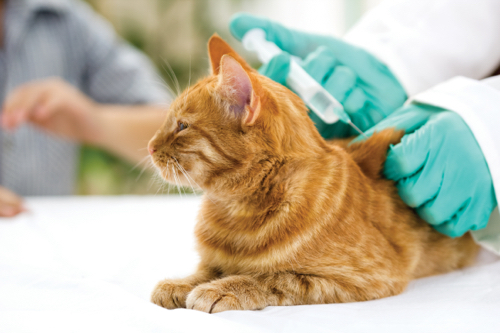 If you have pet insurance, you may be covered for part of your cat vaccination costs. Bow Wow Meow’s Routine Care Cover provides a contribution to some of the vaccination costs. Learn more about our Routine Care Cover here.  To see how much pet insurance is for your cat, get a quote from Bow Wow Meow. Is the cost of vaccination worth it? Bear in mind that if your kitten or cat needs to be hospitalised due to catching a life threatening disease, the cost for treatment can run into the thousands. Vaccination helps saves lives and the grief and expenses associated with your cat catching nasty diseases. Do indoor cats need to be vaccinated? Do you have an indoor cat that doesn’t have any contact with other cats or animals outside your house? You might want to discuss with your vet if all the usual cat vaccinations will be required. Certain diseases, like Feline Respiratory Disease and Feline Enteritis, can only be contracted between cats. These two diseases won’t be an issue for an indoor cat, but if you are planning on taking your cat to boarding or even to the vet where other sick cats have been, your cat might still be at risk. Worried about over-vaccinating? Titre testing may be an option. Over the last decade there has been increasing debate that we are over-vaccinating our animals. Depending on the vaccine, immunity can last significantly longer than twelve months. Some pet owners therefore worry about vaccinating their cat while they still have immunity. If you are concerned, you can talk to your vet about titre testing. Titre testing tests the levels of remaining antibodies in your cat’s blood. To check these, a small blood sample is taken and send to a laboratory to determine the antibody level. If it is sufficient, you can delay the vaccinations. If it isn’t, you will need to vaccinate your cat. While you may think immunisation is unnecessary or you may find it costly, it is an essential part of ensuring your cat lives a happy and healthy life. There are a range of different levels and types of vaccines available. Remember, whilst immunisations can never be 100% effective, they are a highly effective way of preventing the stress, heartache and cost of your cat contracting major diseases. 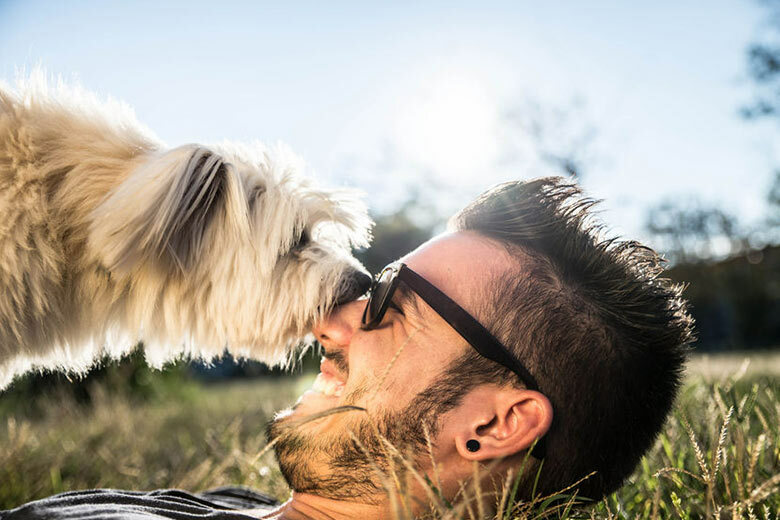 Seeking out pet insurance is a great way to help cover these costs. Bow Wow Meow can help you with Routine Care cover to contribute towards some of these costs. 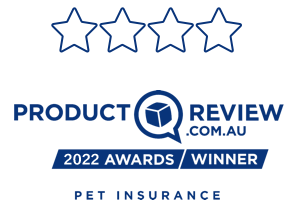 For more details of Routine Care cover and Bow Wow Meow Pet Insurance cover, refer to the Product Disclosure Statement. 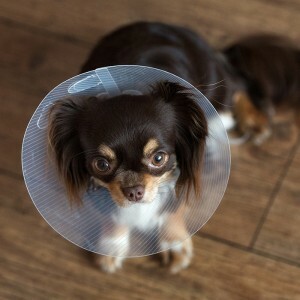 Why do puppies and kittens need pet insurance?  Dr. Katrina Warren - Why do puppies and kittens need pet insurance? Dr. Katrina Warren talks about accident prone and mischievous young puppies and kittens she has come across. 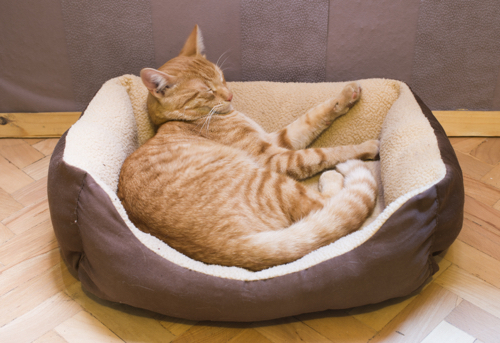 We know that cats that stay home are less likely to get injured. That’s why we’ve designed a new, more affordable plan specifically for indoor cats. Want a cat that will happily stay indoors? Cat Sneezing – is it a cold?